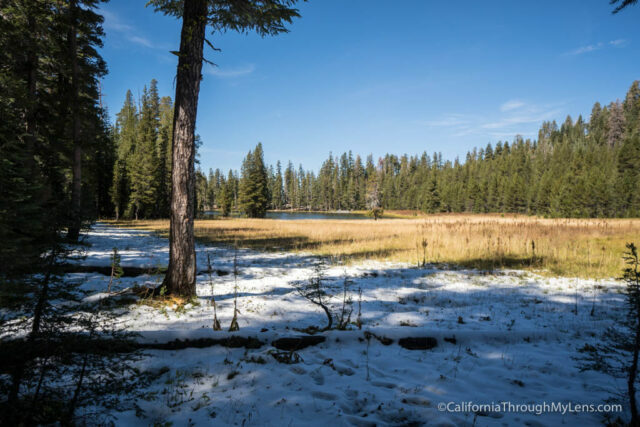 Lukens Lake is one of the easiest high altitude lakes to access in the high country of Yosemite. 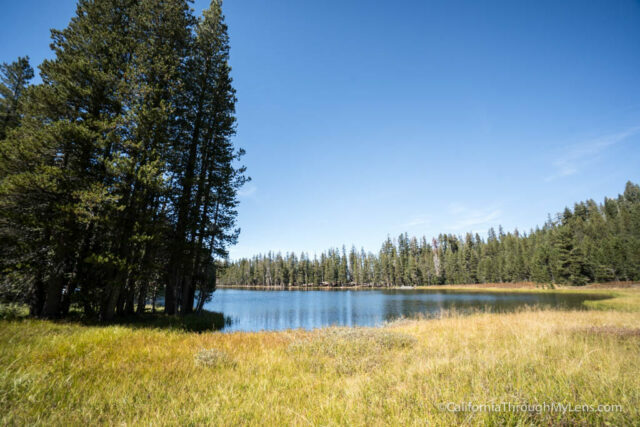 This lake is less than a mile hike each direction, and it is one of the most peaceful and relaxing areas you can access on Tioga Pass Road. Here is all the information on this spot. Heading east on Tioga Pass Road Lukens Lake is a good 16 miles into the journey but one of the first parking areas you will see. 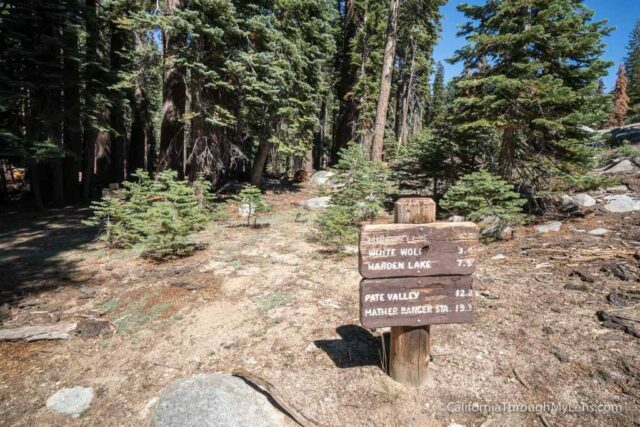 Even though the hike is easy, it is not super popular, so the small parking lot usually has a spot or two left. 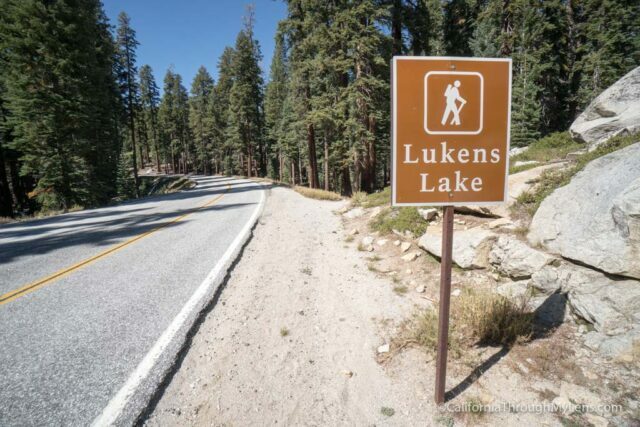 From the parking lot, you will cross the road to get to the trailhead for Lukens Lake. 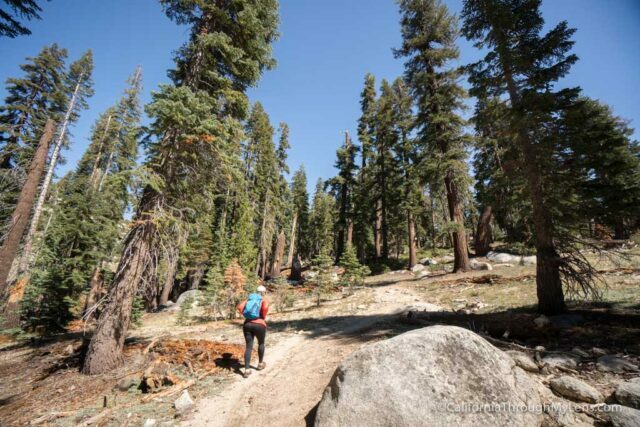 The trail starts out flat as it heads into the trees, but from there it starts to go uphill for the next half mile. Eventually, the trail flattens out again, and you start a short downhill to the lake. 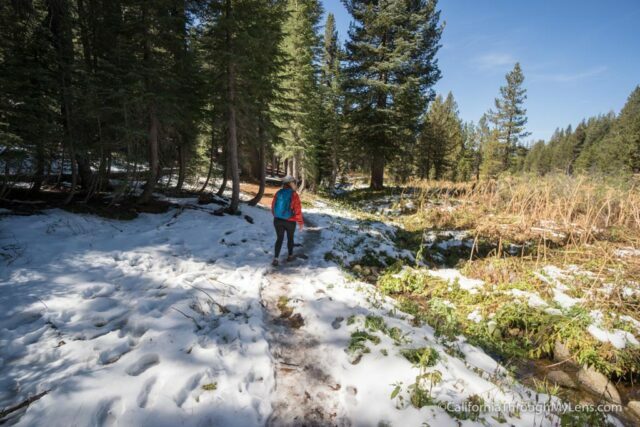 There was some snow when we went, but the trail was easy to cross as long as you took your time. There was a path through the meadow to the base of the lake. We walked out here and made it our picnic spot for lunch. 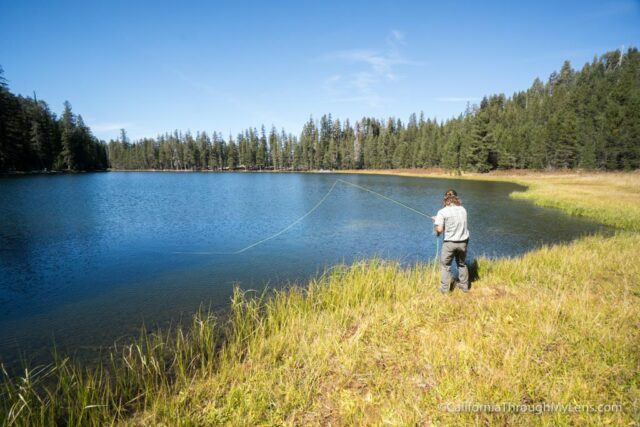 We also did a little fly fishing at the lake but didn’t catch anything. After hanging out for 45 minutes, we started the short hike back to the car. 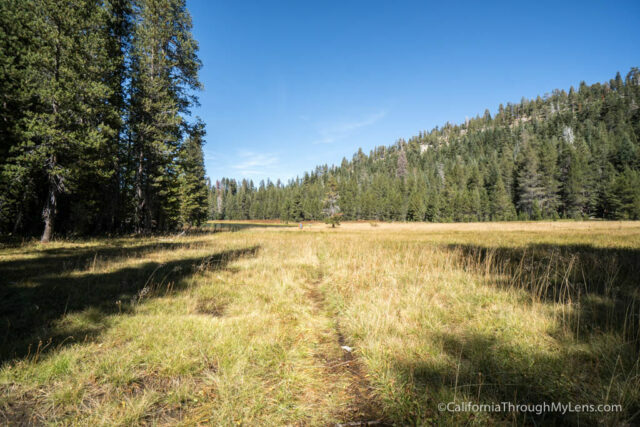 While there are certainly more exciting places to explore along Tioga Pass Road, Lukens Lake is a great whole family stop, especially for those not looking for a long hike. If you have been, let me know what you think in the comments.